The only large predator of the Park. The Gray wolf, now a protected species, was almost extinct in the 1970s. 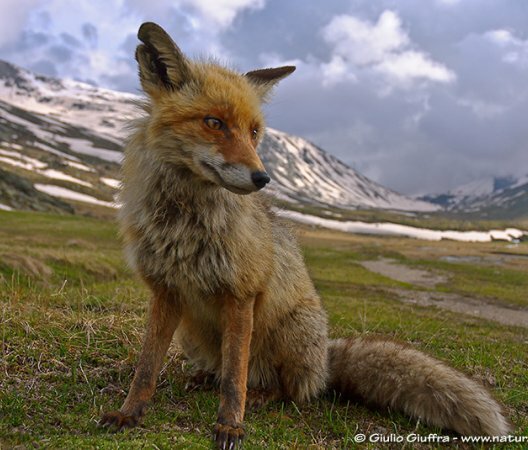 It was never reintroduced, but re-established itself in the Apennine mountains naturally in the last twenty years thanks to legal protection and environmental modifications. Wolves live in packs, occupying large territories (with an average of 100 km²) and have a complex social structure with dominant and subordinate individuals. The adult male can reach up to 250-300 kg (550-650 lbs). 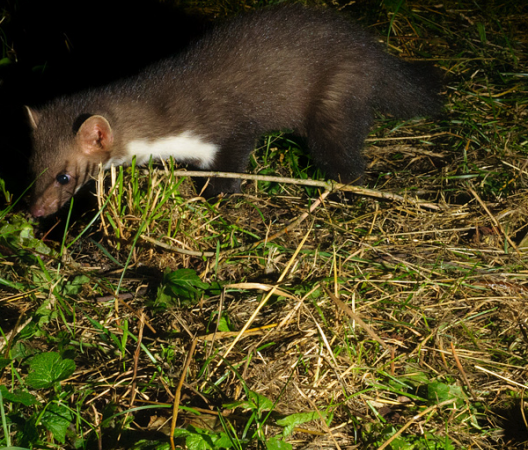 Mating season occurs in September and October. 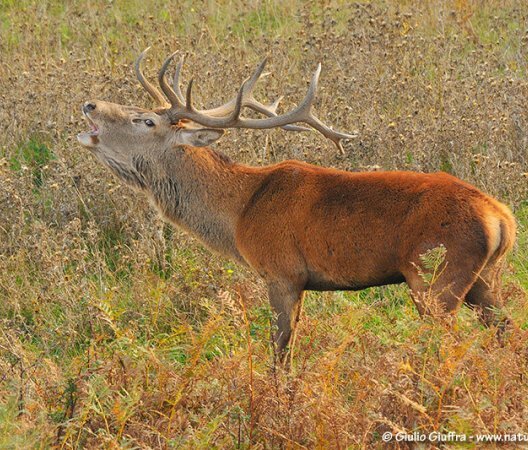 In this period it's common to hear adult males grunting from sunset to sunrise to attract females and intimidate other male competitors. 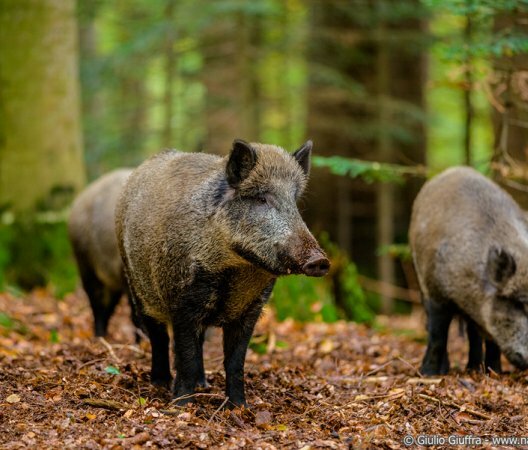 Together with the wild boar is the most common ungulate (hoofed animal) in the Park. It's small and very agile. Females average 25 kg (55lbs) and males average 35 kg (77 lbs). The white spot on the backside is heart-shaped in females and bean-shaped in males. 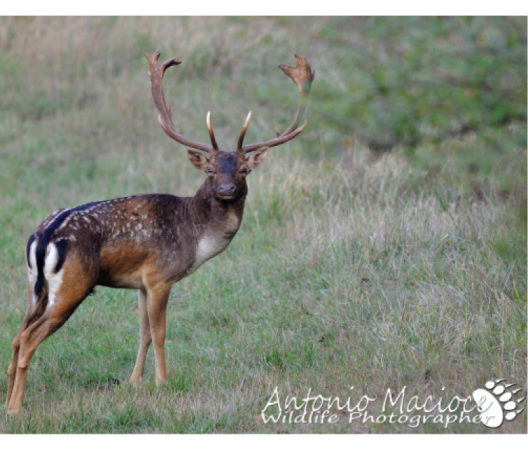 The most common ungulate of the Apennine. Very similar to a domestic pig, but with brown and thick hair called bristles. 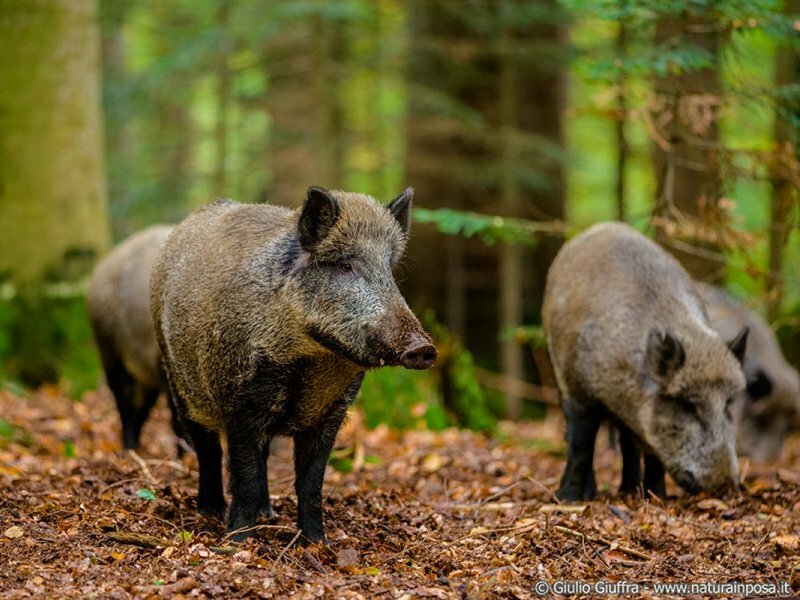 Boars spend a lot of time digging and rooting in the ground to find food. Their snout is mobile and highly specialized for this activity. Mouflons are not native of Europe. They were first imported from Asia in the 18th century. 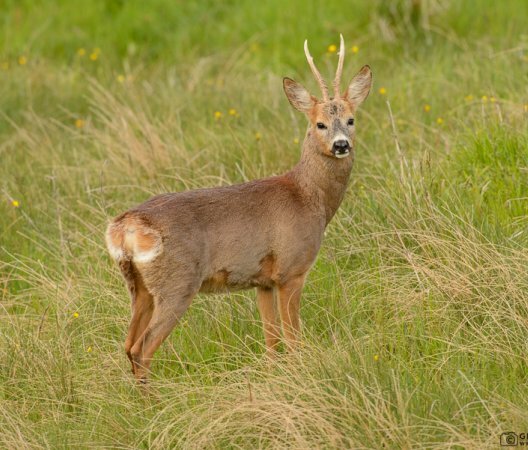 Unlike other bovids, only males have horns, which can grow up to 1 meter (3 feet). 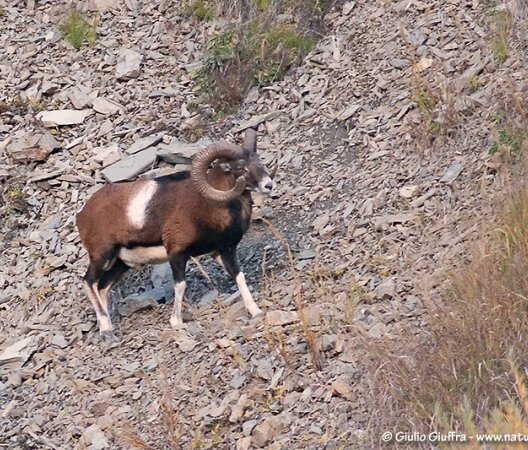 When threatened, mouflons seek for refuge by climbing high up rocky walls thanks to their sharp hooves. Hares, like rabbits, are not rodents but lagomorphs. 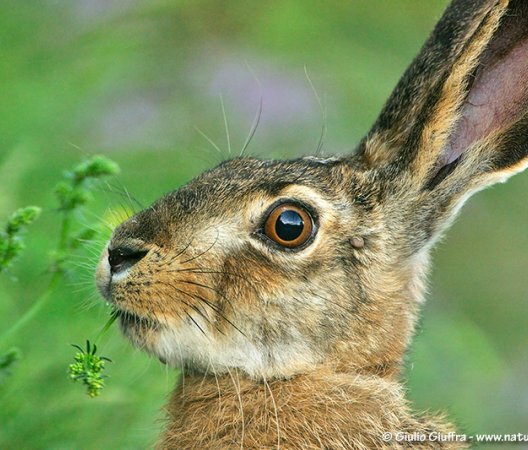 Differently from rabbits, hares don't live in dens; they use open but well-protected refuges (shelters). 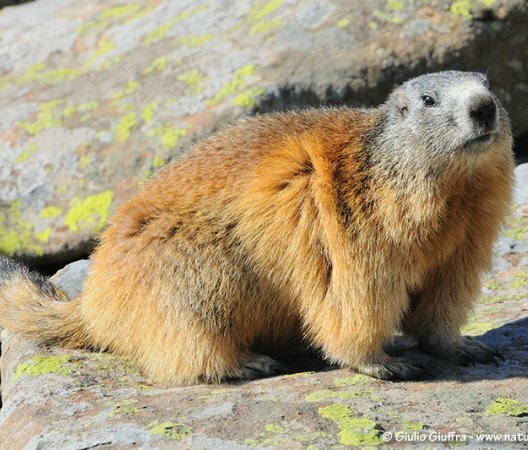 Marmot is not native to the Apennines. It was introduced from the Alps between the 40s and the 80s. It can only be found in the western mountain ridge of the Park. 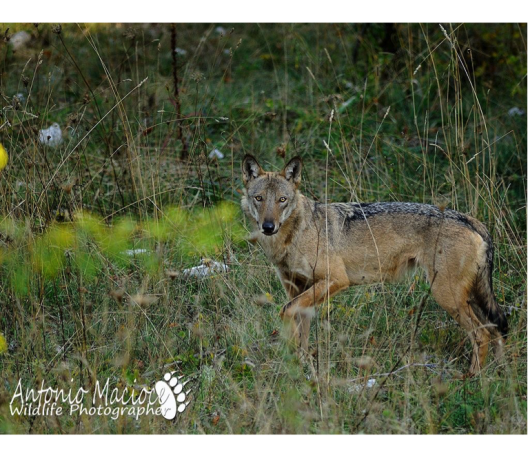 Monte Orsaro is a great spot to see them. 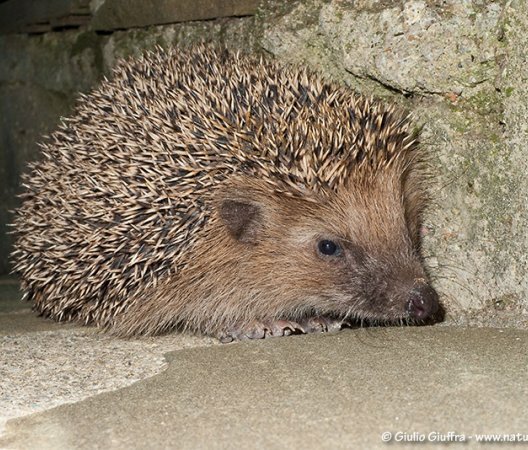 The hedgehog is a small insectivore. Unlike the porcupine, the hedghog's quills have no barbs and cannot easily detach.